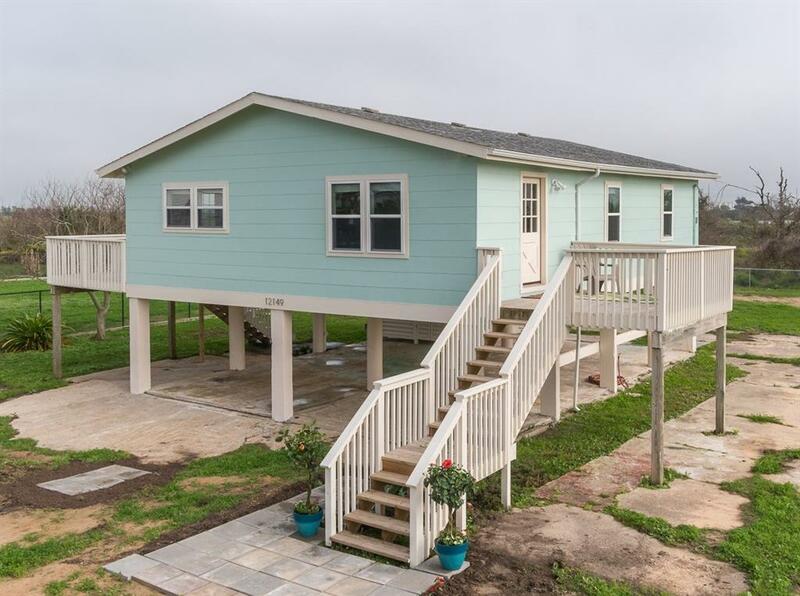 Country living at it's best with easy access to FM 3005 off 9 mile road. 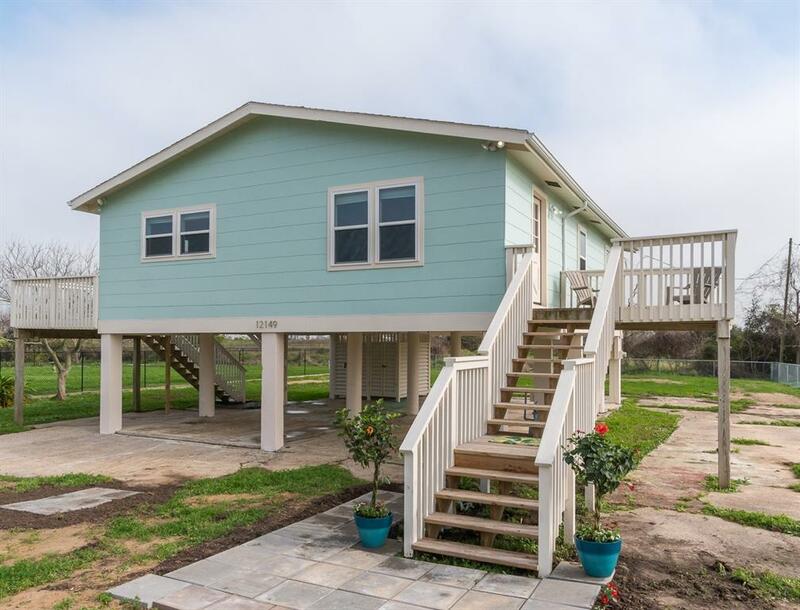 Located 3 miles east of Galveston Country Club and public boat launch; 5 miles to Moody Gardens Golf Course and Walmart. Ostermeyer Road is home to small ranchettes with horses. A wild flock of peacocks live and roam the neighborhood. No need to travel to bird watch as they are plentiful from east and west facing decks. This completely renovated west end home is a must see. The home is on a fully fenced 1/2 acre lot with plenty of room to park your RV or watercraft. The carport has room for three cars and an 8' x 8' storage room. The interior living area has an open concept for entertaining. 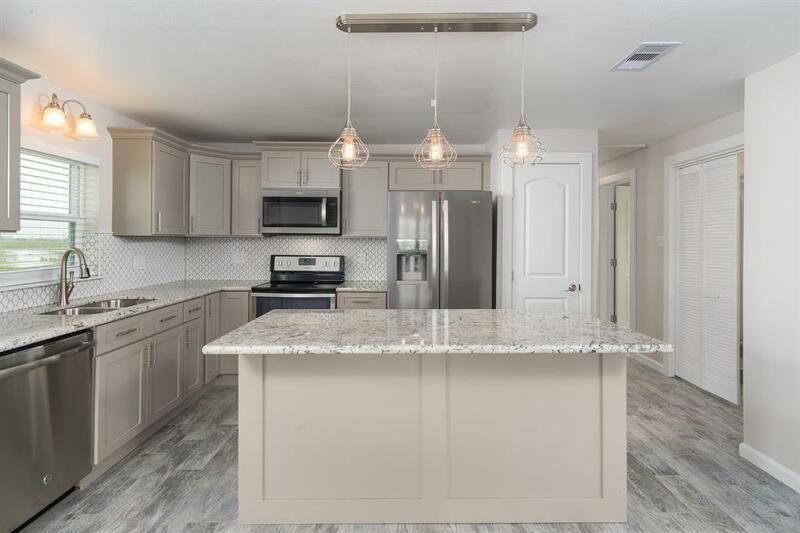 It features porcelain tile and ceiling fans in all rooms. The new A/C system is a high efficiency 14 SER unit. 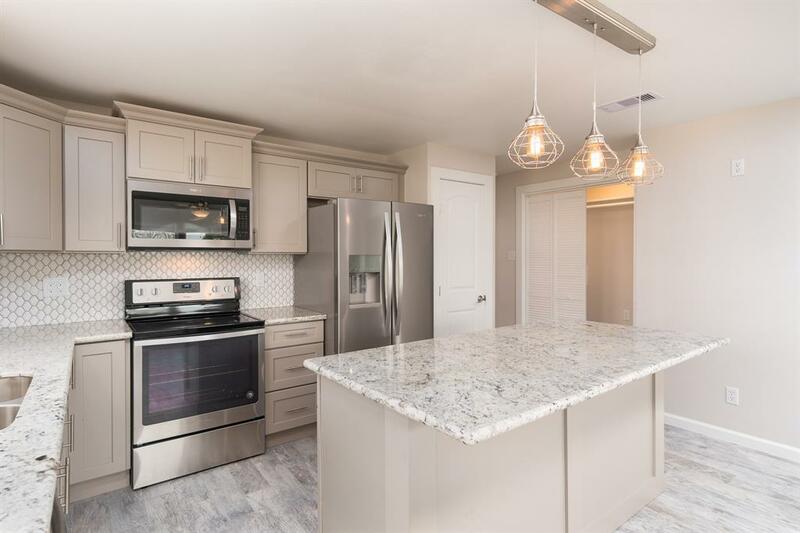 The kitchen has been completely remodeled with all wood cabinets, granite counter tops and all new stainless steel appliances. The kitchen island is large with room to use one side as a breakfast bar.